Without any inside information, and with only the small amount of information publicly available, the following is a personal speculation about the legal context of the UK/EU agreement that is currently being negotiated. 1. The UK would cease to be a member state of the EU on 29 March 2019. Exit-day 1. 2. The withdrawal agreement would contain the terms of a so-called transitional period during which the UK would be involved in further negotiation with the EU. It is apparently supposed that this transitional period would be a matter of months rather than years. 3. At the end of the transitional period, perhaps on a date specified in the withdrawal agreement (Exit-day 2), the UK would become a ‘third country’ in relation to the EU, that is, in the same legal situation as non-member states of the EU in general, subject to any special terms that had been agreed relating to the post-membership relationship of the UK to the EU. 4. On one proposal currently under discussion, the UK would become a member state of the European Free Trade Area (EFTA) on Exit-day 1. The UK would cease to be a member state of EFTA on Exit-day 2. 5. It seems likely that the UK would seek to withdraw from membership of the European Economic Area (EEA), either on Exit-day 1 or, possibly, on Exit-day 2. 6. EFTA currently has four member states (Iceland, Lichtenstein, Norway, Switzerland). It is a free trade area not a customs union. ‘Free trade’ means the absence of restraints on trade, such as customs duties, quotas, technical barriers to trade (car emission standards etc., etc.). The member states operate their own external trade policies (unlike in a customs union), but those policies are coordinated. EFTA and its member states have FTA’s with other countries and organisations, including the EU. 7. Any State may accede to the EFTA Convention, provided that the EFTA Council decides to approve its accession, on such terms and conditions as may be set out in the Council’s decision. A State acceding to the Convention is obliged to take steps to become a party to the free trade agreements to which EFTA and its member states are parties. 8. The UK is a member state of the European Economic Area. The EEA has 31 member states, including three EFTA member states (Iceland, Lichtenstein, Norway), but not Switzerland which, having signed the original Agreement, withdrew after a referendum had rejected membership. Switzerland has ten or more bilateral agreements with the EU which give it very many of the advantages of EEA membership. It joined the Schengen Area (on control of the free movement of persons) in 2008, following approval in a referendum. 9. The EEA Agreement is a so-called ‘mixed agreement’ in which the EU (in respect of matters within its exclusive competence) and the EU member states (in respect of other matters) are joint contracting parties. Its non-EU member states are subject to the single market aspect of the EU system, but they are not in a customs union with the EU. That means that they can have their own external trade policies and agreements. Thus it is a very special kind of free-trade agreement. 10. The single market aspect of the EU system is the vast mass of EU law that makes free trade possible, including the ‘four freedoms of movement’ of goods, persons, capital, and services. There must be identical law in all the states concerned on matters where any deviation from the common law by one state could amount to a barrier to trade. It has turned out in practice that the EU common law must apply to almost anything that has an economic impact (from state aids to industry to the shape of vegetables). 11. Within the EU itself, the single market is an inseparable part of the customs union. The latter could not exist without the former. The monstrous complexity of the EEA system is intended to solve the problem of how non-member states could possibly accept the single market legal system of the EU without participating in the institutions that make single market law and enforce it. If one had been asked in advance, one would have said that that problem is insoluble. 12. Non-EU EEA member states do not take part in the EU institutions (Council, Commission, Court), but there are wonderfully complex arrangements for assigning analogous functions to parallel systems, and the Court of Justice itself may be involved in resolving some disputes about the interpretation and application of the EEA legal system. 13. A member state may withdraw from EEA membership by giving at least twelve months’ notice of withdrawal. If a member state were to give such notice, a diplomatic conference would be convened to prepare the necessary amendments to the EEA system. The UK would presumably continue to be an EEA member state during the period of the notice of its EEA withdrawal, presumably participating in the diplomatic conference. 14. If the diplomatic conference on UK withdrawal from the EEA produces a new special relationship between the EEA and the UK, its entry into force might take a long time, given that amendments to the EEA treaty system would presumably have to be ratified by all the remaining EEA member states (the EEA system being based on a mixed agreement). 15. The proposed transitional period is extremely difficult to understand, at least for a mere spectator in the public gallery. Lawyers familiar with intergovernmental organisations (IGO’s) might have expected that a transitional period would apply before a member state of an organisation finally ceases to be a member state, that is to say, in the period between the signature of a withdrawal agreement and its entry into force. 16. That is presumably why Article 50 of the Treaty on European Union (the text governing withdrawal) allows for extending the period of withdrawal negotiation beyond two years, if the negotiation is not complete, and the EU and the withdrawing member state agree to extend the period. After the actual withdrawal of the member state, there might also have been an interim period, on past precedents, allowing for administrative measures to give day-to-day effect to the new relationship between the EU and a former member state. 17. Would anything decided in the proposed transitional period relate to matters of fundamental importance, such as the border between the UK and the Republic of Ireland, or immigration control, or customs procedures at ports of entry? Would it be in that period that the very many EU treaties with third countries would be replaced by new UK agreements, and the UK’s agreements with third countries that assume UK membership of the EU would be terminated or replaced, and our membership of the World Trade Organisation would be re-negotiated? Negotiation and ratification of such treaties can take years. How would accession to EFTA be managed, given that it requires the UK to take steps to become a party to EFTA’s existing treaty relations, which include the EEA, and given that the UK might itself still be a member state of the EEA at that time (see points 7, 13 and 14 above)? 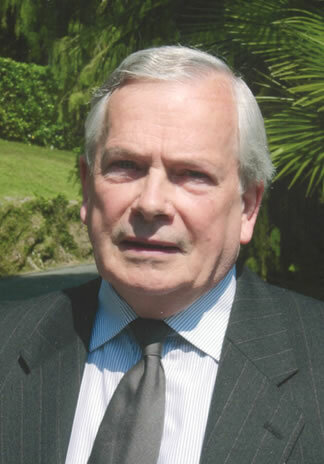 Philip Allott is Professor Emeritus of International Public Law at Cambridge University.